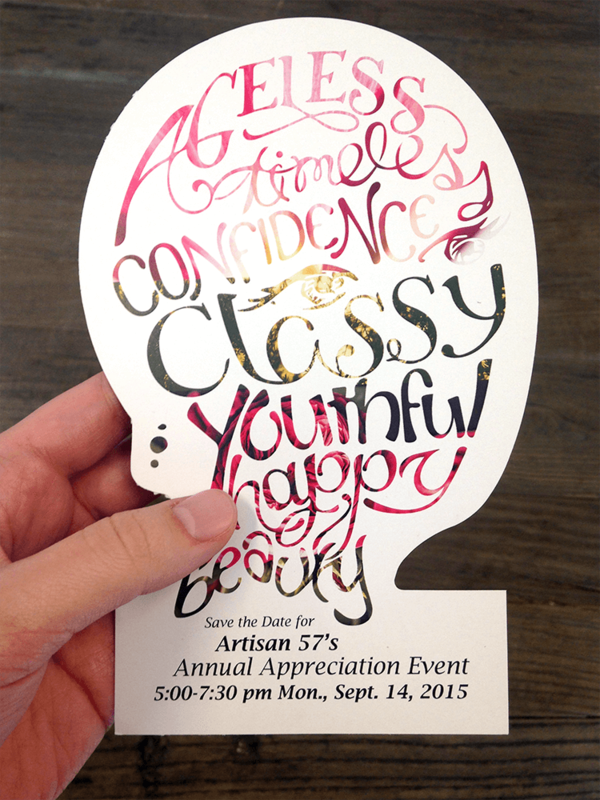 Artisan 57 approached us with an idea and a sense of style for approaching the invitation and other materials for their annual appreciation event. 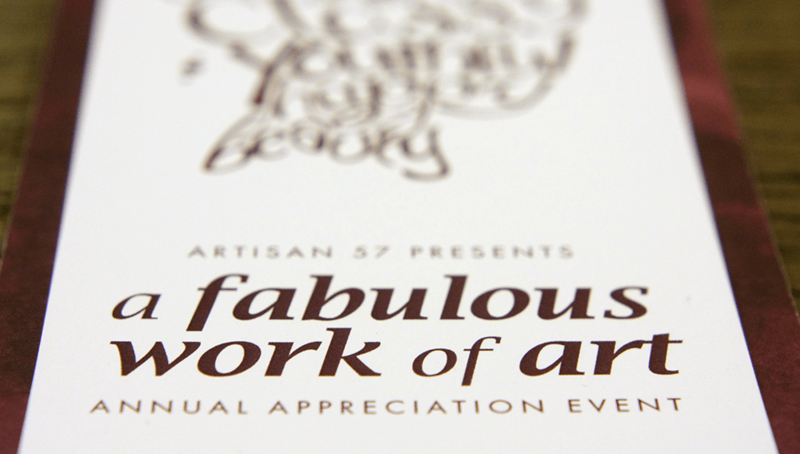 Maintaining a focus on celebrating beauty, skin, and art, our challenge was to bring together all of the ideas for promoting a premium event. 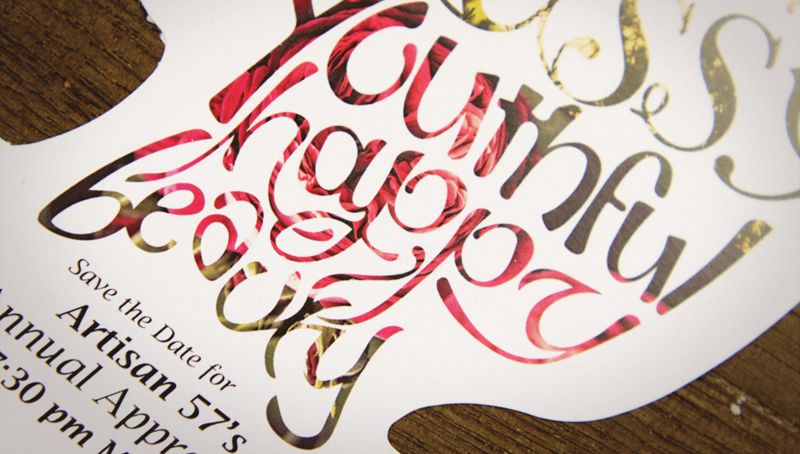 With an idea and a sense of style established, our team worked to ideate and create materials that embraced the fluidity of hand-drawn typography while maintaining a polished, professional appeal for a premium event. 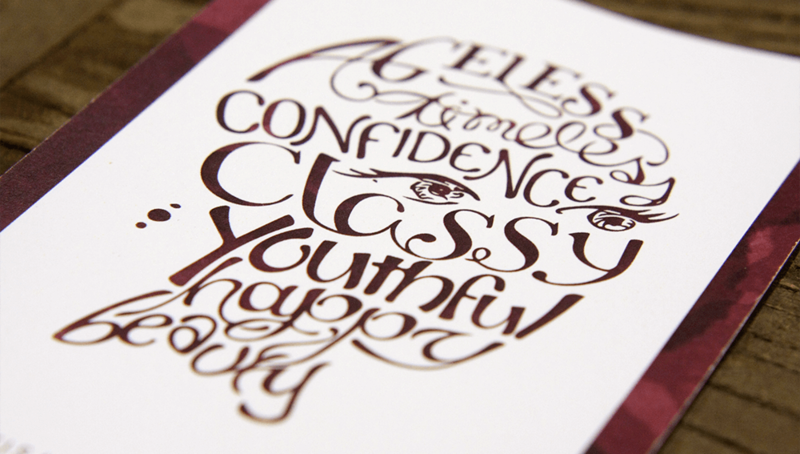 We worked with Artisan 57 to identify words that best describe their personal brand, and we used these words to create an original art piece. We also considered how to incorporate the idea of beautiful portraits into the event.